That was fast. A whole year has come and gone seemingly in a blink. The iOS music scene has moved closer to mainstream acceptance. Many advances have come pushing us and our devices into new territories of music production. Loads of new people have taken the plunge into iOS music embracing the concepts, challenges, and growing benefits. This past year has seen amazing growth in those using iOS and in the technical advances of the apps designed. The novelty is worn off. For me it wore off long ago. This is for real. The future is happening now, and iOS music is becoming a very significant part of the whole music world. Even though still relatively in its early stages iOS music is a force. Full of great artists, bloggers, and developers propelling it forward. It’s you, me, and everyone willing to do something a little different. This past year has brought us some incredible new developments in the apps we use. So I salute the very best, the most innovative music apps of 2012. 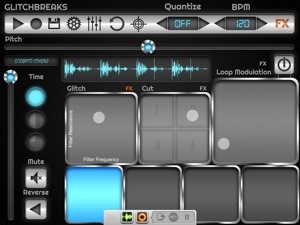 What follows are a few of the best new iOS music apps RELEASED in 2012. Best Drum & Percussion – DrumJam – A remarkable way to make beats. Best Sampler – Samplr – A brilliantly crafted sampler that inspires creativity in a well design U.I. Best Sequencer – iPolySix – A reborn classic synth with automation & intuitive sequencing. Best Generative – SpaceWiz – Make a whole solar system sing. Just beautiful. Best Glitch – GlitchBreaks – Ridiculously fun & crazy useful. A category all it’s own. Best Virtual MIDI controller – Gestrument- Expressive, easy, and well made. Endless inspiration. Best iDAW – Auria – A truly high quality virtual recording studio complete with serious FX, full automation, splendid mastering tools, and plug ins. Attentive development & more on the way. The iOS iDAW. Best Innovative Design – Impaktor – You, A table, iPad & drum out for real. The ultimate drum kit. 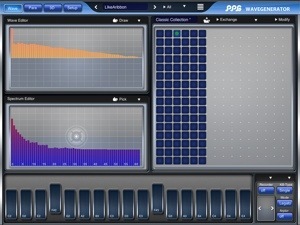 Best Unique Sound Creation – iPulsaret – The most complete granular synthesis app. 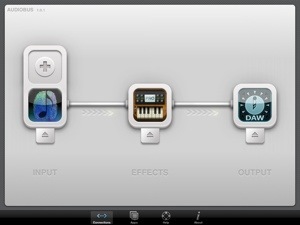 Best iOS Music App of 2012 – Audiobus – Simply ties it all together with ease. It has been another amazing year full of great music app development. I want to thank everyone for reading my reviews and who enjoy my music. lots more to come! I also thank the developers for all their hard work to bring us such fantastic apps. Hey, if you think I left something out that really deserves inclusion leave a comment about it. There are certainly lots of very good new music apps beyond just what I felt are the best. The apps I chose above are just what, in my humble opinion really stood out, brought something new to the table and changed how I make music. Also this list is only for music apps released in 2012. Prior years releases are a whole other kind of list. Honorable Mention- AudioShare, PPG WaveGenerator, Audulus, EchoPad, & Borderlands are just a handful of some of the other big stand outs of this past year. 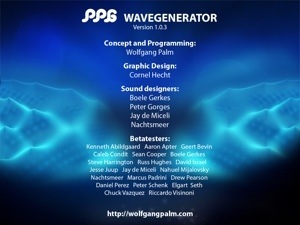 I reviewed WaveGenerator as a guest for iDesignSound.com a little while ago. I seem to have neglected to link it up. Sorry about that. It is published on their site. To read my review please click HERE to be directed to iDesignSound. Developed by A Tasty Pixel and Audanika. FINALLY! Monday December 10th iOS music starts taking a huge leap forward. Its been a long time coming, and just about everyone making music with iOS has been eager for the Audiobus arrival. The wait ends (12-10-12) and a new era of streamlined iOS music production begins. Am I hyping a bit? Yep. I have been not so patiently waiting for this. I might even say dreaming of this. 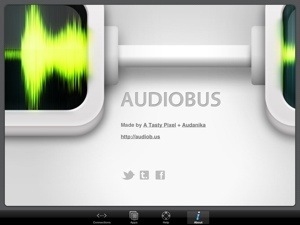 Audiobus is simple in concept. It certainly isn’t nearly as simple to engineer. It allows compatible music apps to play with, through, and record each other. Just select the app or apps Input for a synth, another as an Effects unit, and lastly the Output goes to the app doing the recording. Animated arrows will indicated an active connection. Easy. That’s it. At least that’s all we need to know. It just works. There are not a lot of apps ready to go yet, but you can be sure the list of apps supporting Audiobus will grow fast. As it does and more are on the bus, the need for AudioCopy / Paste will equally dwindle. Sorry ACP. The SDK will eventually become public for all developers of music apps to implement this critical tool. Some highly anticipated apps like Auria, Audulus, EchoPad, Magellan and many more will be coming. Inside Audiobus is a handy list of apps currently compatible. Using Audiobus is fast and simple. Each app connected will have a small remote controller relevant to each apps function. Each app connected will have its icon appear on the remote. For example I was playing in GlitchBreaks as the input, and sending it to Loopy HD as the output recording. I didn’t have to switch apps to record, in fact that remote I mentioned was neatly tucked away at the bottom of the screen in GlitchBreaks (on the left side in Loopy) with a record button. I hit record, and started playing out some wild glitches. Loopy captured the whole thing. Each recording easily went to an empty track perfectly in sync. Piece of cake! Of course switching apps is just a easy, there’s a little button on the remote to switch between apps very quickly. So much better than copy paste. For more on Audiobus such as detailed instructions, information, and list of compatible apps please click HERE to visit the website. 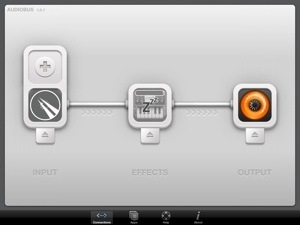 Included in Audiobus is also a handy audio input. So you can use Audiobus to capture audio through a mic, and route it through effects and/or to an output. If you get stuck on your first day with how to work it all, there is a complete instruction manual contained within the Audiobus app. That’s about all there is to it. Nothing could be finer. No lengthy complicated process to learn. This was made with great care to fit in to your workflow seamlessly. I’m sure unless you just stepped out of Tardis it won’t take much to sell you on Audiobus. Must Have App Of The Year! 5 stars. Get it from iTunes App Store Monday December 10th. No looking back. Audiobus now offers users a choice of latency settings. Now users can choose between 256 & 512 buffer settings. iPads 3&4 will default to 256, but earlier devices now default to 512. Depending on your preferences or needs operating in 512 is likely to benefit most people conserving much needed system resources on all devices. Whatever you prefer, at least there is now an option for individuals to choose what works best for them. I sure wouldn’t let iPolysix go UN-reviewed. I was in ited by iOSMusician.com to write a review, and what better than iPolysix? Follow the link below to the awesome iOSMusician site.